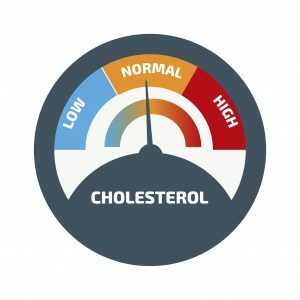 Cholesterol Numbers: Science or Marketing Myth? Cholesterol does not correlate with heart disease. Do you know your serum cholesterol number? The vast majority of people can quote at least their total cholesterol, and perhaps even their LDL or HDL, even when they have no idea what their BP is! Is cholesterol really related to heart disease? What is the evidence? Actually, there is abundant old and recent evidence that there is NO relationship between cholesterol levels and heart disease! An exception is: once you have a cardiac incident such as a heart attack or angina; then lowering cholesterol for one year does make a slight difference in subsequent heart attack rates. Moreover, there is evidence that succeeding in lowering cholesterol via exercise or diet or statins actually correlates with higher non-cardiac death rates, incidence of infections, and pneumonias. and even higher cancer rates! Especially in older people, there is evidence that those with higher serum cholesterol live longer compared with those with lower levels! Interestingly, so-called “normal” levels of total cholesterol used to be 250 mg/dL. In the early 2000s, the desirable level was 225 mg/dL. Now it has been lowered to 200 mg/dL! These changes were not determined by science. Instead, they were set by Task Forces often populated by experts paid for by drug companies. For those who have read earlier posts in this blog, cholesterol numbers once again raises an issue: Do population norms represent your optimal normal? If your family runs at a certain level, will your health be improved by taking drugs or manipulating diet to get you to a lower number? In more detail, what does the science really show? The best presentation was given by Matthew F. Muldoon et al in the New England Journal of Medicine (NEJM) in 1991. In coordination with another NEJM team, they showed mortality rates in people who succeeded in lowering cholesterol by any means (exercise, diet, statins). “Primary intervention” refers to people who have not yet had cardiac symptoms, and “secondary intervention” refers to lowering cholesterol after a heart attack or cardiac pain. As you can see, some death rates due to heart disease showed a small improvement. while this effect is out-weighed by cancer mortality and death from non-cardiac “other causes.” Effectively, there is no benefit to lowering cholesterol! The “other cause” deaths were a puzzle for a few years, until the data was analyzed further. Mostly it had to do with inability to recover from coma because the stress hormone cortisol was compromised, preventing victims of trauma from recovering from their coma. Cortisol, testosterone, estrogen, progesterone and others in those pathways all are made from cholesterol, so they can be compromised when serum cholesterol is lowered. How did such a massive myth get created? The process in science can get confused in the same way we all make mistakes in daily life — confusing correlation and causation. In the next section I will go into much more detail about the history of how this happened (feel free to skip it if you are hurried). To give an example, when a microcephaly epidemic was noticed in Brazil, people focused on a region where they used a lot of pesticides, thinking it was chemicals causing the problem. When it spread to areas with much less pesticides, the Zika virus was discovered in mosquitos, and this virus was shown to damage brain cells in tissue culture, the true cause was clear. Correlation is not causation! Higher serum cholesterol and heart disease rates can both be measured. Are they correlation or causation? Hard to say, right? The above graph suggests that there is minimal causation if any, so it is just a correlation. Lowering cholesterol does not lower cardiac incidence. This confusion started with animal studies in the 1930s that showed that animals with heart disease had more cholesterol in their arteries. In 1950, research in humans appeared to show that there was a correlation between fat intake in Finland compared to low fat in Japan, and Finland had much higher rates of heart disease than Japan. The problem was in the way the study was reported. 28 countries were studied, and only 7 countries were reported. The data was cherry-picked. Later analyses of the very same data in 1977 and 1999 showed that in fact there was NO correlation when all 28 countries are included. Nevertheless, this apparent correlation created an attractive “surrogate” data point for research. Doing longitudinal studies over time to determine cardiac incident rates are expensive. It is much cheaper to measure serum cholesterol. Therefore the temptation was great to equate serum cholesterol to cardiac risk. From then on, the vast numbers of studies used serum cholesterol as a surrogate for comparing effectives of various statins, and the marketing battle was on! Marketers published all kinds of studies, and presented them to doctors at conferences lavishly paid for by drug companies. Gradually, group-think took over amongst doctors and their institutions. Now even the public is highly focused on their cholesterol level as a major indicator of cardiac health, and perhaps even health in general! In 1950, US Public Health Service published a study of 28 countries evaluating the influence on heart disease of various lifestyle parameters including diet (fat intake, meat intake, fat intake, sugar intake, and salt intake), exercise, and even TV sales and auto sales. The first publication was Seven Countries Study by Ancel Keys. This compared some Scandinavian countries with Japan and other Asian countries. This cherry-picked sample drew ascending straight lines correlating fat intake and heart disease rates. Further analyses of the same data from all 28 countries in 1977 and again in 1999 showed totally different results. There was NO statistically significant correlation between dietary fat intake and cardiovascular disease. There was a slightly significant correlation with sugar and heart disease. However, by far the largest correlation was with sales of TVs and automobiles! Around 1950, it became possible to measure serum cholesterol in laboratories. The initial assumption at that time was that dietary intake raises serum cholesterol, though that was not demonstrated at that time. In the 1960s, this concept was confounded by studies showing no effect of low-fat diets on serum cholesterol. As a matter of fact, the opposite is true in about 30% of patients because the liver responds to low fat intake by making more cholesterol. By 1969, further research showed a better correlation between high homocysteine and heart disease. Homocysteine is involved in inflammation of arterial walls. Close examination showed that the process of inflammation and breakage of the lining of arteries cause cholesterol to extrude into the middle of the artery, causing heart attack. Cholesterol is a normal component of arterial walls, and breakage of the lining enables cholesterol to extrude. So cholesterol itself is not the cause. Inflammation is. Homocysteine is a measure of that inflammation, and is known to be kept low simply by taking folic acid, a nontoxic B vitamin! Decades ago folic acid was added to bread routinely. For a time in the 1980s and early 1990s, fortification with folic acid was stopped by the FDA. During that time, it was noted that heart disease rates rose. Once the FDA resumed regulations to fortify breads with folic acid, cardiovascular rates again declined. These correlations are more likely causative rather than merely correlative! Statins were first discovered in 1987. Many companies piled on to take advantage of still-persisting beliefs that cholesterol was related to heart disease. They promoted this concept with one of the most remarkable marketing campaigns in history. As a result, virtually all doctors and the public at large have come to belief that tracking serum cholesterol levels is crucial to health. In 1991, Muldoon et al published mortality graphics shown earlier in this blog post. It showed almost no correlation with heart disease, which was offset by higher rates of non-cardiac causes due to coma. In 1992, D Jacobs published a study surveying 100,000 people in San Francisco who had succeeded in lowering their serum cholesterol. Statistics showed a higher rate of various infections including pneumonias. By 1994, several studies explained higher all-cause mortality from coma as a result of reducing cholesterol as being a natural effect of reduced cortisol. In 2000, Uffe Ravnskov, a medical statistician, began publishing papers about the cholesterol delusion. His well-known book drilling deeply into the mathematical and statistical misrepresentations. Another study in 2001 verified once again that there is no relationship between lowering cholesterol and reducing heart disease. By this time, big Pharma had essentially hijacked medical journals, paying for peer review, paying authors, and skewing reported data while calling it “scientific.” Group think amongst doctors, journals, and the public became more entrenched. Eventually, a backlash at the hijacking emerged in a number of books. The most telling was by Marcia Angell MD in 2005. She was former editor of the New England Journal of Medicine. It was an expose of the influence of the drug companies: The Truth About Drug Companies: How They Deceive Us and What to Do About It. By 2012, a huge Norwegian government-sponsored longitudinal study called HUNT-2 found clear increase in serious non-cardiac disease from lowered cholesterol. Uffe Ravnskov in 2015 performed another study showing that older people, above 50 and certainly 70, live longer if they have higher cholesterol. So cholesterol is helpful in longevity! The most recent study was published in April 2016. This was a very thorough combination of two large studies, one in Minnesota and a related one from Sydney, Australia. 9423 people aged 20-97 were studied from 1968-1973 and re-analyzed multiple times. The significance of this study is that there was a clear correlation between the degree of cholesterol lowering and increased mortality. The numbers are not random; they were highly correlated. For every 30 mg/dL reduction in cholesterol in most cases, there was a 22% higher mortality — not from heart disease at all, but from non-cardiac causes. What are side effects of statins? Ironically, statins are often a deterrent to getting the very exercise that is helpful for reducing heart disease! It is true that 1/1000 statin users get a severe muscle disorder, called rhabdomyolysis, which is irreversible even after stopping the statin. What is not talked enough about is that a less dangerous level of muscle aches occur in roughly 45% of people using statins. Rarely, liver dysfunction forces people to stop statins. In addition, recently the FDA issued a warning that statins may increase glucose. It is also true that memory loss and confusion are common enough that some papers are being written about statins possibly being implicated in dementia, though this has not been proven convincingly. There is an interesting new way to evaluate therapies. In general, statistics can be stated in various ways, and even manipulated. Studies listed above suffer from this tendency to glaze your eyes over. Another way to evaluate drug therapies is to take the same statistics and state them as “how many people need to take the drug for one person to benefit?” This is called The NNT: The number needed to treat. A corollary is the number needed to treat to get side effects. There is now a group of sophisticated top-level physicians who have created TheNNT.com , a non-profit that consciously receives no funds from drug companies or similar corporations. An important conclusion to draw from this is that there is more harm (diabetes and muscle damage) than good (heart attack or stroke, which of course are serious). After such strong arguments, what can be done about heart disease risk? Reading this blog is a good start! It emphasizes getting adequate sleep, exercise, and some attention to diet (not low fat but eating the freshest food). If you snore loudly, have a sleep study to rule out sleep apnea. Sleep apnea is an extremely serious condition which can be alleviated dramatically and non-invasively. Stop smoking. There is a high correlation between smoking and heart disease. It can even be categorized as causative of heart disease! Interestingly, 50% of heart attacks occur in people with no cardiac risk factors, and even in regions of coronary arteries where there are no blockages! So optimizing health in general is the best you can do! [Don’t forget to look at the main function of this website — providing rapid solutions DIRECTLY using your cellphone or computer for various acute ailments. This may include injury, head injury, fever, traveler’s diarrhea, even childbirth complications, and even more malaria, typhoid, cholera.